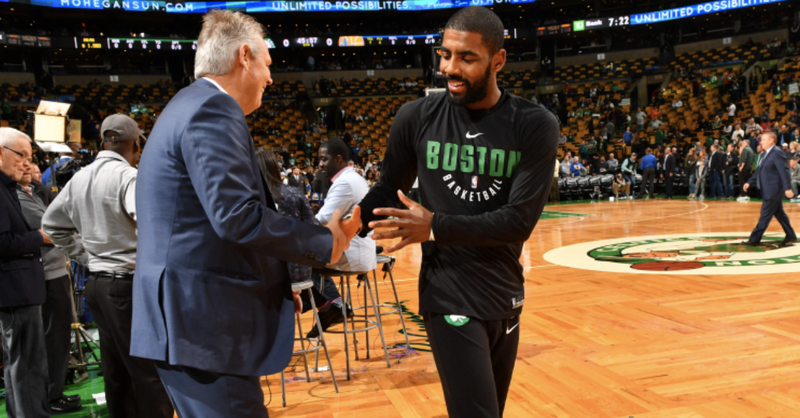 Danny Aineg was on Toucher and Rich this morning and sounded pretty confident that Kyrie Irving will be re-signing with the Celtics in July. Kyrie might have not given fans the reassurances they needed last week in his interview, but according to Ainge in subsequent conversations, Danny was left pretty confident. We'll try and add the audio of Danny on Toucher and Rich up on here when it become available. Or if someone finds it, feel free to add a link in the comments section.